This evening we planned to feature our first Student Performance Workshop, which is an opportunity for students to showcase their work in progress. Unfortunately, the weather was not cooperating, and we decided to postpone our evening plans. We returned to the convent and called it a night. All students are currently enjoying some downtime through the storm in their rooms. Despite the interruption of the weather, it was a beautiful day in Spoleto! 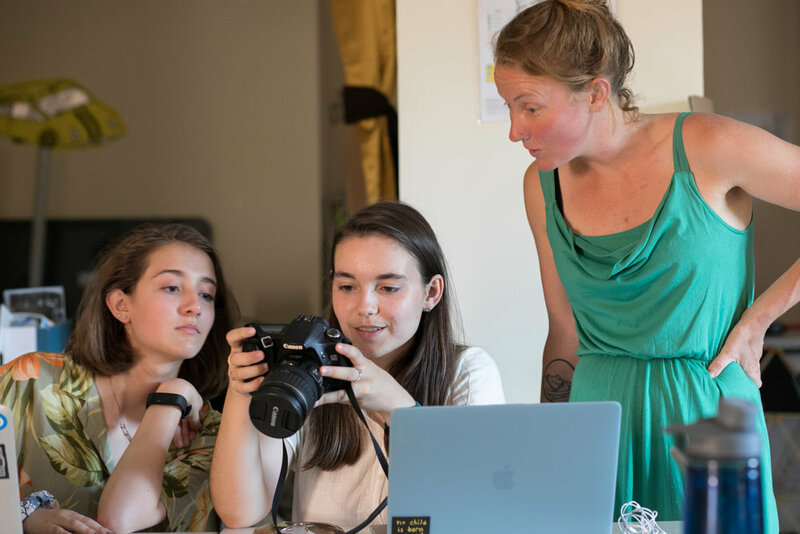 "After completing their first assignment on the technical aspects of the camera and composition strategies, students are now working on their second assignment, which is focused on street photography and environmental portraiture. We started this assignment by looking at some of the great street and portrait photographers: Henri Cartier-Bresson, Robert Frank, Paul Strand, Helen Levitt and Walker Evans... to name just a few. We then went out to practice some of the strategies that we had learned about at the local clothing market. Photographing active street life proved to have many great challenges and we talked through these in our class critique. Some of the things that we learned included how to be discrete and blend in with a camera and how to take photographs in non-obvious ways. We also learned about how to wait for a subject to enter the frame, how to be patient and observant in a busy environment, and how to pick out characters and interesting stories in the bustle of daily life. Over the last few days students have had the chance to observe and to photograph street life in Spoleto and in Florence, and they will have a chance to finish this project with our beach trip on Wednesday. We are also, along the way, learning about selecting and editing images in Bridge and Photoshop. It has been very busy in the photo classroom!"